“Dog Fest” is an annual event where your family and furry friends are welcome to come and show off your best pet costumes. A portion of the proceeds will go to help the Charlottesville-Albemarle SPCA! Dog Fest 2018 Was A Smash Success! Save the Date – Sunday, September 29, 2019 at Ix Art Park! 1. Dog Fest, an annual event hosted by Animal Connection and over 40 local pet businesses, will be at IX Art Park on Sunday, September 30th from 12-5 pm. Bring your pets, friends and family to Cville’s most fun party for dogs! It’s free family fun you won’t want to miss! 2. Dog Fest features over 40 booths of pet friendly businesses featuring healthy pet products, locally made treats, trainers, groomers, gifts, doggie day care, veterinarians, service/therapy dogs and pet rescue groups. You’ll take home goody bags and maybe win a raffle prize! 3. The always creative and hilarious “Costume Contest for Dogs ” judging begins at 2:30 pm! Our panel of judges features great local celebrities you’ll want to meet. The winner takes home a $500 gift certificate to Animal Connection! 4. A perfect fall day just begs for good tunes! So enjoy acoustic music by local favorites “The Pollocks” on the main stage from 1-4 pm! 5. Like good beer? In honor of Dog Fest, Animal Connection will be collaborating with Hardywood and Three Notch’d breweries to create Big Dawg Blonde Ale. A portion of the proceeds from this collab will be donated to support local pet rescues. The brew will be available for purchase at both breweries while supplies last. 6. Hungry? Food and refreshments will also be available from Spiked food truck, Blue Ridge Creamery, and all the fantastic merchants at Ix Art Park. 7. Mox Box photo booth will be here to take pictures with your costumed pet or just for fun! Get into the act and have a photo to remember! 8. 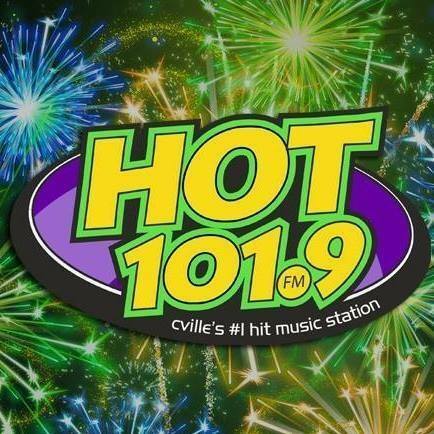 Hot 101.9 FM will be here too, playing your favorite tunes all afternoon long! 9. If you don’t have a pet, that’s okay! Come meet local rescue pets in need of a good home. Donations are happily accepted to the rescue of your choice. 10. Meet other local pet owners in your community at Dog Fest! Most importantly, spend a fantastic fall afternoon with your dog and other pet lovers!! See you there!